Now HERE'S something scary...AN OLD PIC!FROM LAST YEAR!AHHHH!!!! 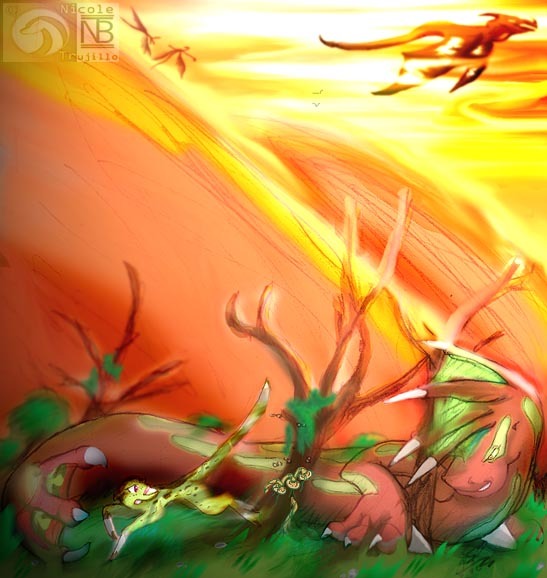 !Eh,Animeish-type dragon,BTW!BIYA! 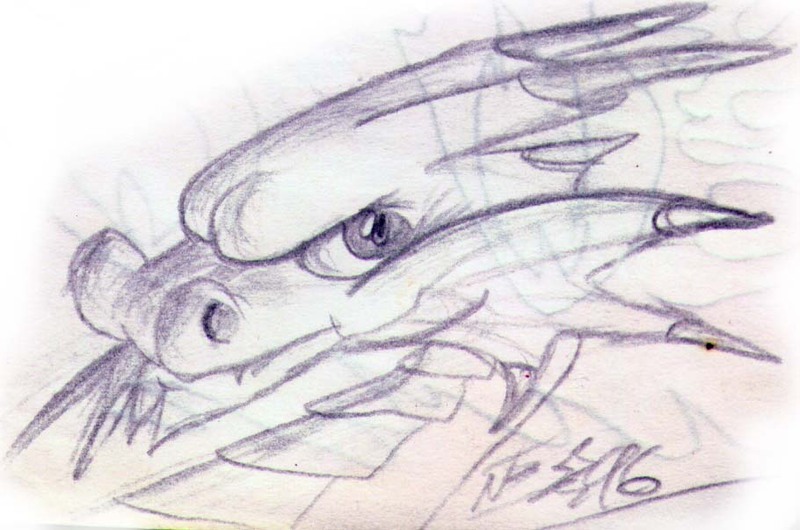 A sketch of Red 13 of FF7.Any questions?Red is (C) Square. Now for something diffrent:A 1930s-style dance/jazz montage!Did this while watching a special with my parents one night,a tribute for legendary puertorrican Latin singer/actor,Bobby Capo'. 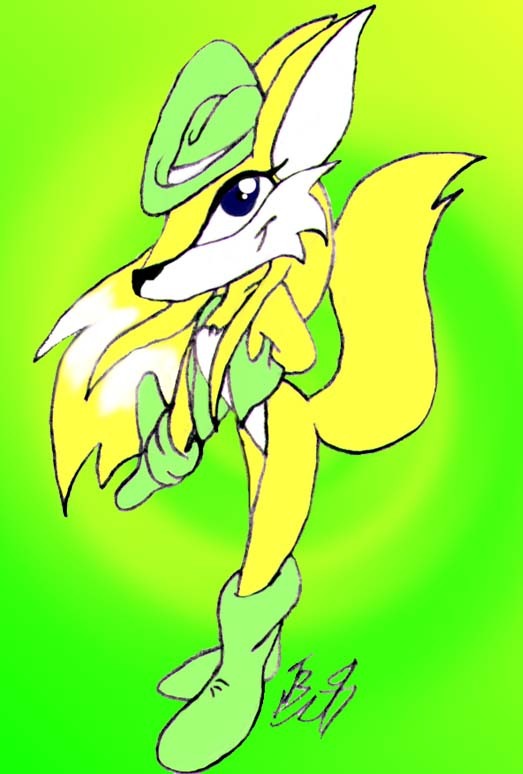 Before Kompy, there were others that led important roles throughout my artistic life;Entee B. the Zorrow(Fox-tail Cuedow)was to have been my furry alter ego before I chose Kompy.Nito the Golden Hamster was one of my first "mascots" as well as being a tribute to my RL hamster of the same name(Rest in Piece,buddy *sniff*).What's Evel the Tamagotchi duck doing here,then?What important role does he represent?NOTHING,He's here 'cause I wanted to draw him!That,and he looks funny dressed as da New Year baby!Oh,well,HAVE A GOOD YEAR,FOLKS! 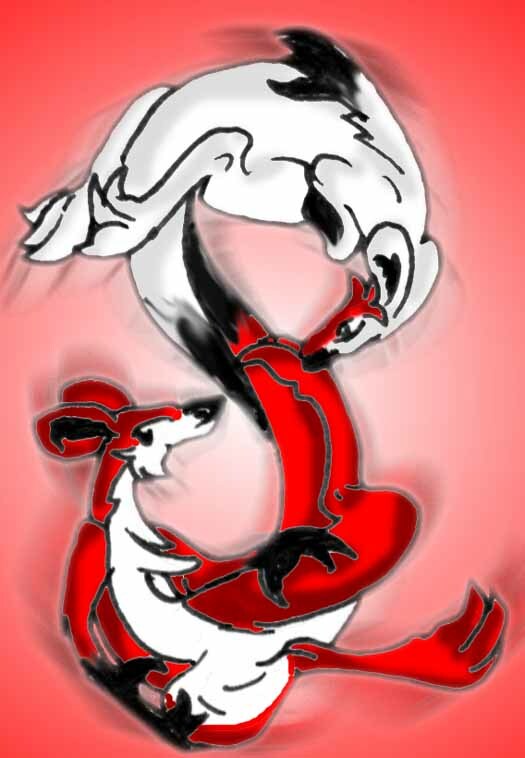 Ahhh...more Roos!Doin' a figure 8/infinity pose,I decided to name these two male Roos Donato(white) and Estefano(red-same as ntbroo.jpg);named after a Latin Pop duo of the same name.Both are©me. 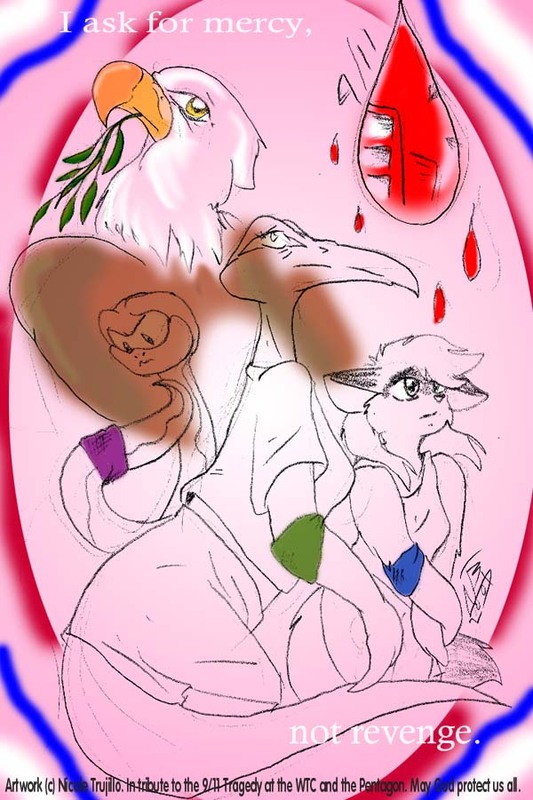 For those that have already donated their blood, keep your bandages (the multi-color ones they often give out in blood drives), and wear them like armbands or braceletes, and help show off that you volanteered to help those people that fell victim to that awful incident. I wish I was able to draw this sooner...but I was too shocked to even think. Speed, Kompy and Tanuki © Nicole Trujillo. Does the group name A-Ha mean anything to you 80's folks?Voltz©Jeff Lancaster. A surprise comishion pic for Alpha!I like surprises...OK!Alpha is ©her player. AnaMaria Cruz,a young 14-year old Mexican Jerboa.She may not know much English,but this child has many things to say to a certain romantic outlaw;especially since she's his daughter.AnaMaria's©me. Remember my 4-part Snowboarding Sketch series? 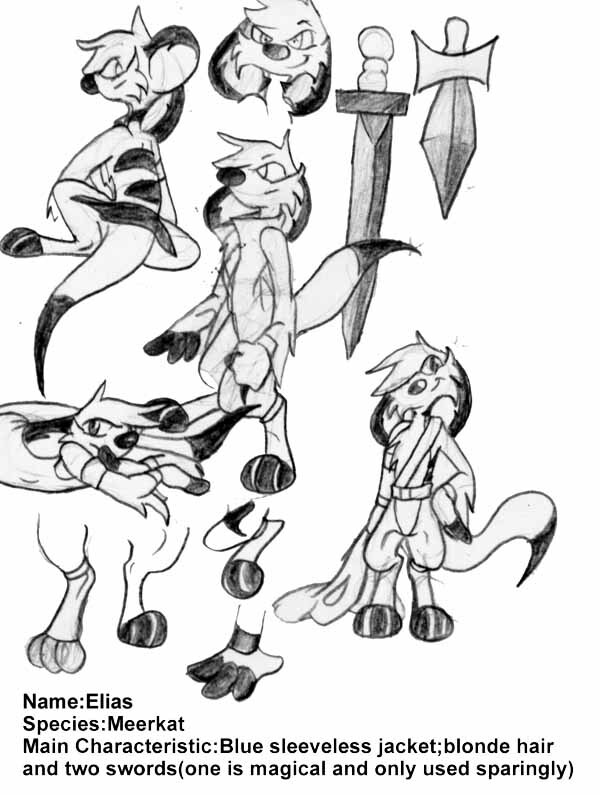 Well, here's the followup-Body Board Sketches. First up it's Larsen. Say hi, Larsen. Larsen says hi back ^_^. Sketch © Moi. Part 1 of 4. Part 2 of the Body Board Sketches. Dangit, I STILL say I haven't drawn enough sea animals! I'm trying to redeem myself with this series. Hence the the Tiger Shark Femme. FEAR. Sketch © Moi. Part 2 of 4. Part 3 of the Body Board Sketches. The file's not upside-down, Meike the Seal's doing a 360. Just so you know. Sketch © Moi. Part 3 of 4. Part 4 of the Body Board Sketches. A PELICAN femme! Now THAT I haven't seen in a while! 'Round here, though, I've seen plenty...yet I still find them quite interesting. Heck, I find most sea animals interesting-they're my faves! Sketch © Moi. Part 4 of 4...ACK! I finished it! 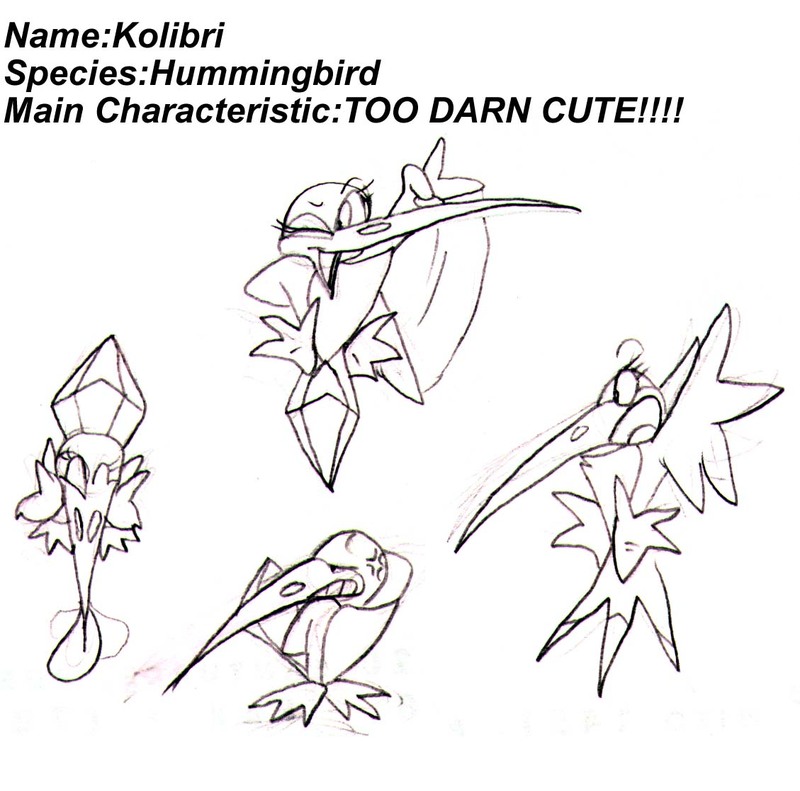 Char sheet o' yet another char I play as somethimes,Kolibri.Kolibri's © SEGA. 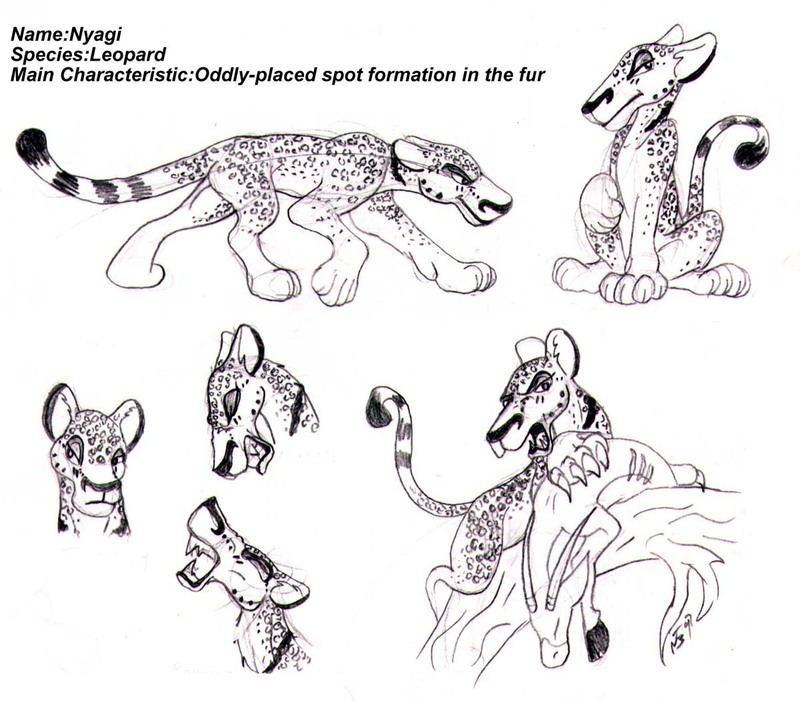 'Member I mention Nyagi in ntbhyena.jpg?Here be char sheet of my TLKMUCK char,Nyagi the leopard.Nyagi is ©Me. 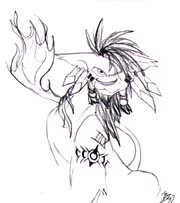 Char sheet foe Elias.Just thought you'd be interested in drawing him.Or,better yet,how 'bout giving out some ideas on the comic*hint hint! *?Elias(YEAH,I know he look like Timon!That was the idea,sorta! 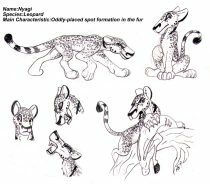 )is©me.Timon is©Disney! Benn awile I've uploaded a "how-to-draw" pic...might as well do one now!This little bobcat kitty is none other than Uno's friend,Duet!Duet's©me. Finally got around to it...a how-to-draw Speed Python thing!I decided to finish this one up after Pepe mentioned me something about considering Speed for a sequel to his RTD comic.Now THAT should be interesting indeed;seeing Speed blastin' at all them Reworks!COOL! Saw Mulan,Loved Mulan,worship Mushu and remade my alter ego Makku to be more...Mushuistic!Makku©me;Mulan an' Mushu©Disney. 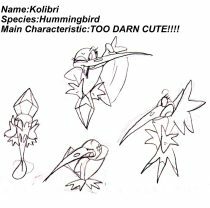 A somewhat closer look at Xoome, your average robotic Hummingbird/Woodpecker bad-mouthed hybrid!Makes Zazu look like a Tiki bird =P Xoome©me. Since lately lotsa people drawin' Kompy now(Thankies!Me LOVE gettin' drawn by other way more talented furry artists! 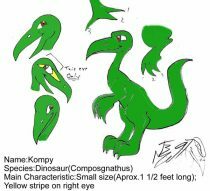 ),I FINALLY did a Char Sheet o' KOMPY!Kompy be© me! 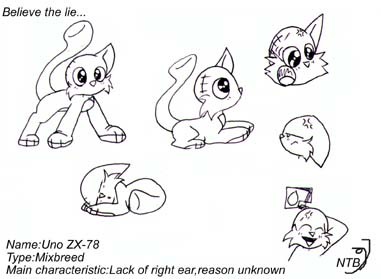 Character sheet for my char Uno the cat.What's with the ear?No one knows,in fact some believe he lost his ear at an attempt to escape some Goverment thugs because he knows too much(what can I say?I made him up after seeing "Conspiracy Theory"! )Uno's©me.